If you want to get your order in 2-5 business day, please contact us individual for shipping cost! Shipments to Canada that are handled by national carriers including the United States Postal Service and Royal Mail via Canada Post may be delayed. The ongoing labor dispute initiated by the Canadian Union of Postal Workers (CUPW) in October is causing country-wide delays. So we can't guarantee you delivery of your parcel in time for Christmas or other holidays. GIFT Wrapping available in our shop !!! If you want a gift wrapping for you order, you may choose this service in shopping card. First, you choose " This order is a gift" and then "Add gift wrapping for 4$". Good day, dear customer! I'm glad to see you in our shop. 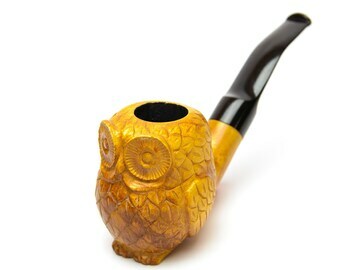 In our shop you can find high quality original smoking pipes, cigarette holders, tampers and wooden stands for pipes. All goods are exclusive and handmade. 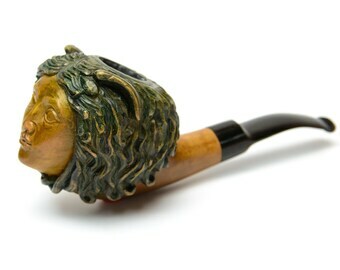 Choose from our wide assortment of pipe shapes and other accessories to smokers. KAF pipes bring a real pleasure to the smoker and become a original gift to friends or your relatives or a good addition to your collection. !!!Attention!!! Our store doesn't sell it's products to persons under 18 years of age. We don't sell a tobacco and cigarettes in our shop. 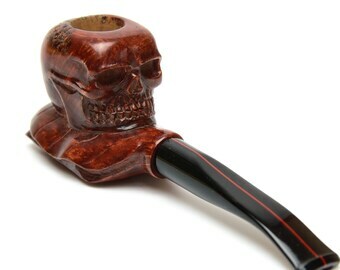 A must have for any pipe enthusiast! 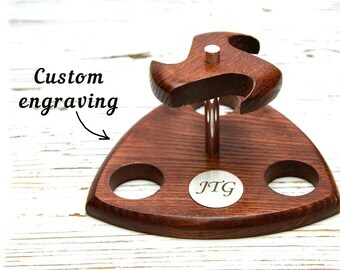 Also love that we can personalize it- a perfect touch! Alright. 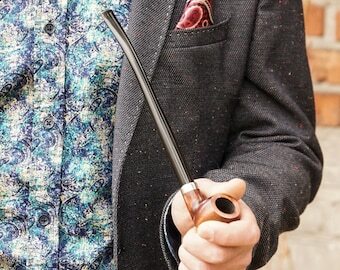 I decided to try the pipe out a bit before writing this and it was certainly worth it. It just smokes better and better every time. 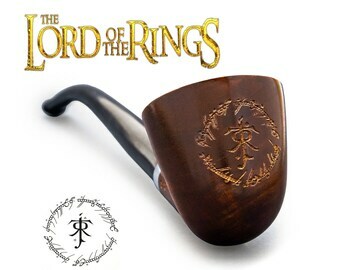 Only thing I noticed is that it does tend to get hot rather quickly so you really have to smoke slowly. Maybe it gets better as the cake builds up. Overall,it looks just like the pictures and smokes great. 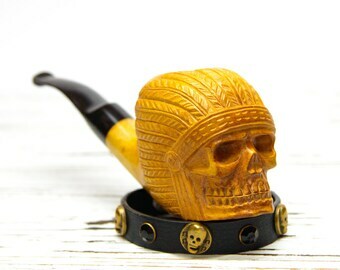 Be stylish and buy this fashion long stem tobacco pipe! 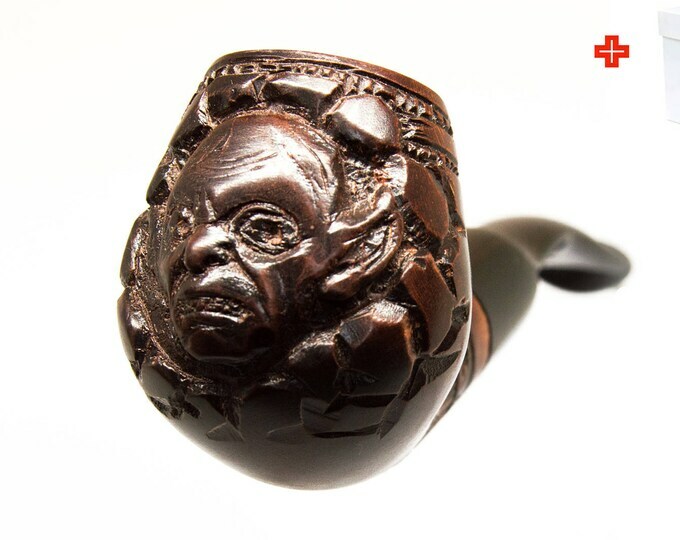 The grinding process of the ebonite mouthpiece for the pipe. 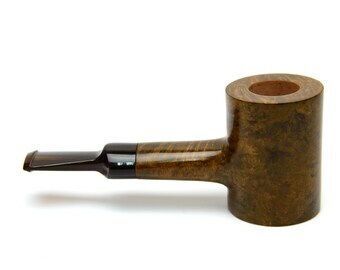 Welcome to KAFpipeWorkshop, my name is Kyselov Evgen and I'm shop owner and the pipe maker. KAFpipeWorkshop have more than 20 years of history. My workshop "KAF" was established in 1994 in Kharkov, Ukraine by my grandfather Kyselov Alexander Fedorovich (KAF). The first series of pipes was released in 1996. 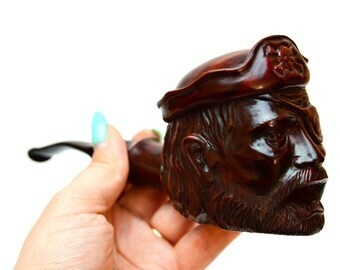 Over time my father Kyselov Alexander Alexandrovich joined to making of smoking pipes with my grandfather. 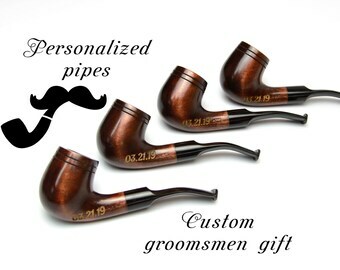 Now I am making smoking pipes and other accessories with my father in our workshop. 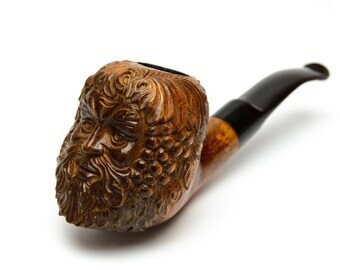 I am engaging in the management of our workshop and soon we will making carved pipes. 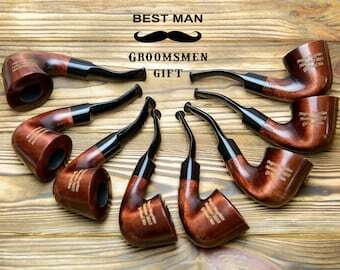 The workshop specializes in manufacturing of pipes from briar and pear wood as well as pipe stands, tampers and cigarette holders. 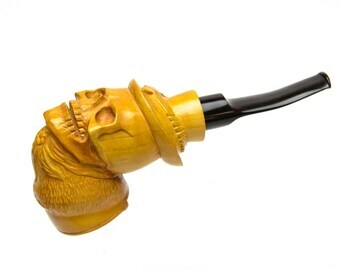 All pipes are made from carefully selected wood polished with natural carnauba wax. The solid coating makes the pipe very glossy and resistant to high temperatures. Mouthpieces are made from genuine ebonite of the highest quality. 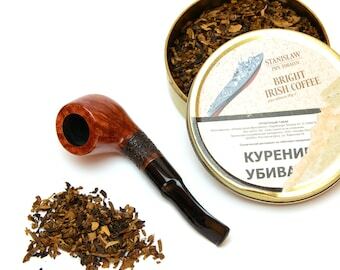 KAF pipes bring a real pleasure to the smoker and become an original gift to your friends or relatives or a good addition to your collection. Our goods all make with love and only handmade. Your pleasure and style are our priority. How long does it take to receive my purchase? How can I track my parcel? ✈ Estimated shipping time is 7-21 days. ✍ After shipping your parcel I write you the tracking number. Which will show a movement of the package. 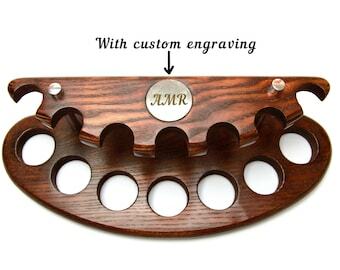 Yes, we accept custom and personalised orders, but when our workshop is not very busy and can fulfill an order. You can write me personally convo, if you want a large number of our products and we discuss your discount and other details! Can I have expedited delivery for my purchase? Yes, we can send your parcel faster by DHL delivery service in 3-7 business days. Ask about it cost personally in convo before your purchase.